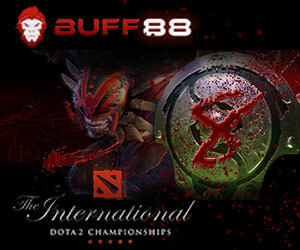 Betting website Buff88 has announced that it will go beyond the expected esports markets for the upcoming International Dota 2 tournament, only one week away to be held in Rogers Arena, in Vancouver, Canada. Buff88 has revealed various exotic Dota 2 markets that will be offered for the first time powered by esports betting solutions provider UltraPlay. What will be most exciting for the community of bettors during the International 8 is that for the first time, bettors can wager on markets such as: most last hits – where bettors choose which team will have the most killed creeps on the map, most denies in the map – which will advance in killing their own creeps as well as most bounty runes. Besides the outright winner odds, bettors can choose which characters will be most picked or most banned, average player stats, team matchups as well as the highest net worth. Players already place bets on the outright winner odds where three teams have the highest chances to record their names in history: Virtus.pro, Team Liquid and PSG.LGD.